Believe it or not it is National Peculiar People Day. You know someone who fits into that category right? Strange, odd, and different people certainly make our world an interesting place I am happy that we have a day that recognises uniqueness. In order to avoid name-calling and labeling, this TNT (This-N-That) blog post will highlight the peculiar Art that is created by interesting people. I decided to feature the celebration and recognition of quirkiness in this blog today by sharing the visual posts that I have pinned via Pinterest. You will find this link below. I have a virtual bulletin board where I attach images with links to websites depicting the theme: Odd Creativity. This is also the title of my board. Perhaps by viewing my board(s) I may inspire you to appreciate the unique qualities of art as well as the people behind the art who are the artists. 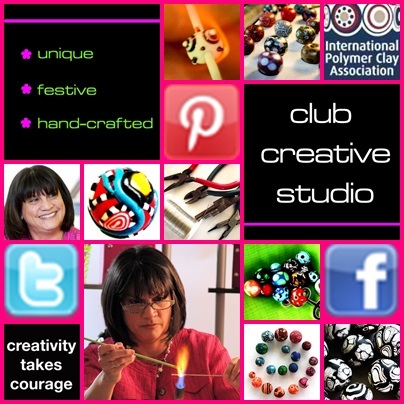 Look for my photo to make sure you are on the Club Creative Studio Pinterest board. Below you will find the link to Club Creative Studio’s inspiring boards on Pinterest. You will find that the account called: Club Creative Art has several interesting boards. Please consider signing in or signing up and begin to follow any or all of the boards by clicking on the “follow” tab(s) you can then continue your Pinterest inspirations sparked by posts of Club Creative Studio. Have a great time pinning. Just be sure to set your timer so you can monitor your time on the computer. It is an addicting activity! Let me know if a board or a specific image gained your attention or appealed to you? Happy National Peculiar People Day, especially if you think you are one of them! Do you like bright colors? The ayes and EYES have it. 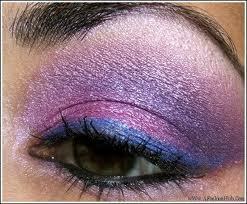 Like it or not color is exploding with popularity in eye shadow shades and elsewhere. Do you have a “go-to” palette that you rely on? 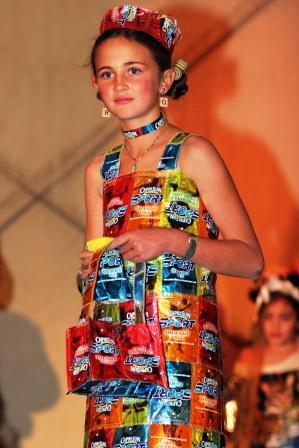 Have you noticed the new fashion trends in make-up, nail polish color and fashion in general? Club Creative Studio has seen a recent change to neon and bright colors from common fashion looks in nail polish to eye shadows. Although there are signs of more subtle shades, take a look at some of the common painted lids. What do you think of them? 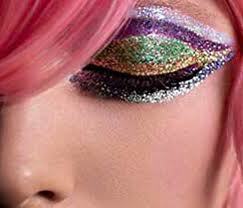 Ready or willing to add some bling to your eye area? 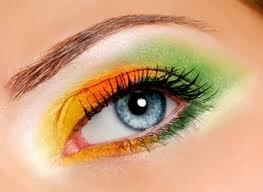 Consider the color wheel when picking out shades of eye shadows. Cool or warm colors can look very dramatic. Glitter makes this look glam. 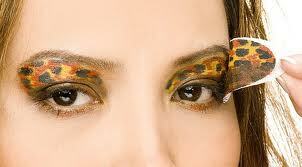 It’s a new trend to apply rub-on temporary tatto-like, shadows onto your eye-lid areas. Of course, I have highlighted some extreme looks here but, it is an exciting color trend for 2013. It’s a growing love for color upon eye lids. A commercial I recently saw describes their color line as Color Tattoos, meaning that the colors are bright and long-lasting. I think it takes a certain type person and style to pull off the heavier colored eye lids. It is not me but, I love the dramatic look. It may also be a matter of applying with confidence and practice that makes the look appealing. What do you think? Willing to try out a new color trend for the sake of fashion? What is your stand-by color of choice when it comes to eye shadow tints? I love when color becomes a main focus and becomes influential in our lives. The challenge for me, as a bead and jewelry designer is to use that information from a popular trend and experiment with similar color combos in my clay and glass art. I want to reflect what the trends are but, I don’t live and breathe them. Sometimes the transfer appeal works and creations are noticed more quickly, simply because of the color in the item design. Other times, color has no apparent barring on our creation popularity and it comes down to personal choice of customers. 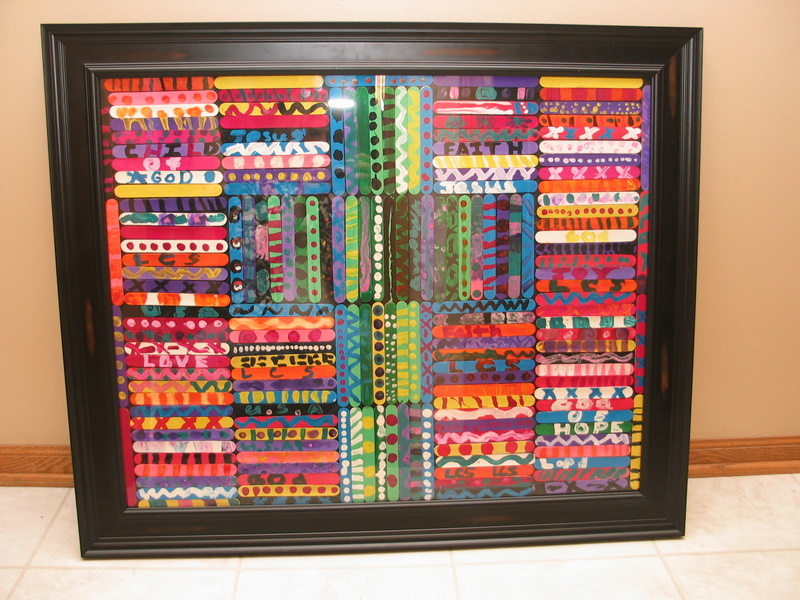 A person is drawn to Club Creative Studio Art because of taste in style or design, appreciation for creativity and unique factors and the fun and functional staying power of a well made one-of-a-kind item. Whatever the main reason is for a second glance of Club Creative Studio Art, I am happy to offer items that are pleasing to the eye! The ayes do have it! We create our own decorative glasses and masks for the new year. We wish all of our visitors to this site a great start to the NEW YEAR! May it be a creative year full of happiness and good health. This will be a quick post to share a tradition that my daughter and I take part in each New Year’s Eve. We don’t purchase pre-made decorative eye glasses…we MAKE THEM! This year we made the year numbers a bit larger and placed a stick handle on the back to display as a mask. Each year we get out the markers and decorate away! We don’t spend too much time on it or add any mixed medium supplies, it is merely a quick way to bond and share the new year together in a few pics with our creations in hand. Happy New Year! We hope you celebrated in style! Are you inspired to start your own tradition by doing the same thing next year? Try it!